The design styles include a sailboat, antique car, geometric's, mini ring boxes & a storage box for audio cassettes. 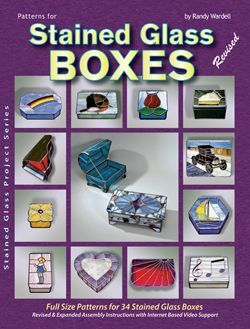 Includes: 34 patterns for the popular stained glass jewelry box. Fully explained assembly steps and all boxes shown in color.